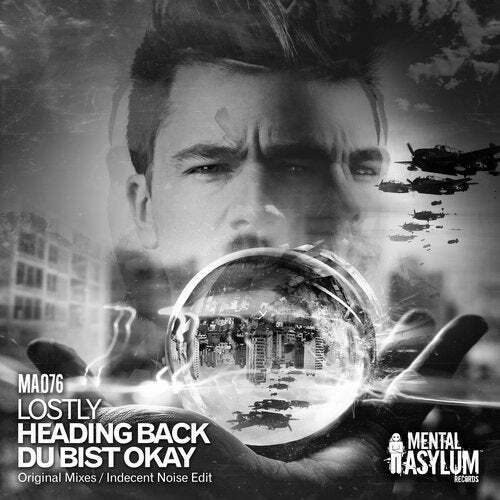 German based trancer Lostly makes a long awaited return to Mental Asylum and boy has the wait been worth it. His heading back EP is nothing short of stunning. We kick off with the title track "Heading Back" which deliver son all fronts. It as that super melodic feel you expect from a Lostly track merged with enough drive and low end that whill raise hands and take roofs off. "Du Bist Okay" goes a little more edgier than "Heading Back". Still uplifting and melodic in its make up but with a surprise up its sleeve. A huge,devilish drop awaits at the end of the Euphoria, one that is straight from the gates of hell. Indecent Noise adds his own Edit of "Du Bist Okay" to the package by removing some of the hands in the air breakdown and bringing in the drop sooner and making the track cater a little bit more for those who want impact a lot quicker.